Our brother and friend, Charles “Charlie” Rudd left this world early Monday morning, Nov. 19, 2012. He had resided in Arcata since 1979, and was well known and respected within the local folk music and academic communities. Charlie was born on March 7, 1955 in Boston, Massachusetts, the youngest of three children. He was proud that he was a “Boston Blue Blood,” able to trace his family lineage (on both sides) back to the Mayflower. Special childhood memories Charlie shared with his friends were of numerous summers, visiting his grandparents’ home in Woods Hole, on Cape Cod. He spent hours scouring the horizon with binoculars, watching sailboat races and collecting shells on the beach. He saved many photos of those happy days. Young Charlie attended The Industrial School for Crippled Children, which later became known as Codding School, in Lexington, Mass. He entered Noble and Greenough School in Dedham, Mass. for High School. He excelled in his Arts, History and Literature courses, and continued to stay connected to these two schools through their alumni associations for the rest of his life. After graduating High School in 1973, Charlie decided to explore the USA, visiting several of his relatives, living for a few months in the Mojave Desert, and ultimately settling on the West Coast, first in Merced with his mom, then Mendocino, and later, Arcata. Some time after arriving in Arcata, he enrolled and graduated from College of the Redwoods earning his Associate of Arts degree around 1984. He enjoyed foreign languages, in particular all of the Gaelic family of languages, and was self taught in Irish language to a very high and fluent proficiency. Charlie was meticulously dedicated to and knowledgeable on every aspect of Irish culture, politics, music, art and language, and indeed, to Ireland. For about 10 years, from the mid-1980s to the mid 1990s, Charlie was an Irish Language instructor through Humboldt State University Extended Education. He taught one class over many terms: “Introduction to Irish Gaelic.” After that time, he continued teaching privately for the remainder of his life. Often, Charlie could be seen with one or the other of his two regular students, who had become his close friends, Phylis Geller and Barbara Murphy Hitchko, at the Plaza Grill on a Tuesday evening. There was also available his online tutoring, and he was recognized as an authority in Irish language by NAACLT: North American Association for Celtic Language Teachers, among other academic language education groups to which he belonged. Charlie enjoyed playing and listening to Irish and Celtic music, and was an eager local participant starting back in the very early years of the Humboldt Folk Life Society, promoting many of its activities and performing at events. There were several musical groups to which Charlie belonged, including The Primal Drone Society, of which he was a founding member with Alan Morden. The two began playing in a duo at Café Mokka in Arcata. Later they were joined by Michael Pierce, David Isley, Randle Lundberg, Phil Crump and others, and the Primal Drone Society expanded. Arcata resident Barbara Wells recounted that Charlie was a fixture at “the green house” on 11th Street, where musicians often gathered to play and occasionally have a meal. “He was a friend to the whole crowd,” she remarked. Another group to which he belonged was the Last Minute Men, a group which played for HFS contra dances. Charlie was fortunate enough to have the opportunity to travel and visit a cousin living in Ireland two times, in 1979 and again in 1981. While there, he immersed himself in the language, culture, and music of the West and North West of Ireland. He collected and learned the music, as well as tales and stories from Irish musicians and “Seanachais” (Story tellers) of The Connemara and surrounding regions of Galway, and the Blue Stack Mountains of Donegal. Through paying close attention and over many years of listening to native Irish speakers in tapes and CDs he could keenly identify and copy dialects and diction, as well as musical playing styles, from all over Ireland. Most of his language teaching was sort of a mix of Donegal and Galway dialects. He could speak fluent Irish in “rapid fire,” which was often both amusing and confusing to us, his students. To keep his skill in the language honed, all of Charlie’s shopping lists, to do lists, etc. were written in Irish. Many e-mails and later, his iPhone texts were in both Irish (always first) followed by the English. Being a physically disabled individual Charlie also became involved and active with local groups which promoted and assisted his fellow disabled Humboldt citizens. One group in particular was Redwood Community Action Agency, of which he was a board member from 1983 to 1988. Charlie’s life was full of many experiences and countless stories. He only recently recalled that in 1962 he shook hands with President John Kennedy who had come to tour the hospital in which Charlie was a patient (Joseph P. Kennedy Hospital for Children, Boston). He wondered over the years if ever a photograph had been taken of that occasion. In 1997 in The Plough And Stars Irish pub in San Francisco, Charlie received a kiss on his cheek from famed Irish accordionist Sharon Shannon. Charlie was one of her fondest admirers. “I’ll never wash this cheek again!” he beamed! Charlie is survived by his sister, Katrina Dean (Larry) of Harrisburg, Oregon, his brother, Dwight Rudd (Ann) of Danville, Virginia, and numerous nieces, nephews and cousins. He is also survived by close friends: Colin Reid (Kathy D’Or Reid) of Eureka, Barbara Murphy Hitchko (Michael Carroll) of Eureka, Ed Ramos (Marilyn) of Arcata, and Phylis Geller of Arcata. For their compassion and care for him, Charlie’s family and friends thank Dr. Andrew Hooper, David Horwitz, PA-C, Dr. Barker, Dr. Cobb, and nursing staff, in particular: the Center for Wound Care and Hyperbaric Medicine at Mad River Hospital; the staff of Open Door Community Health Center, Arcata; IHSS care givers Martha Tomini, Arthur Austin, Kim Ryan and Richard Ely, the staff at St Francis Memorial Hospital, San Francisco, and the staff of Granada Healthcare and Rehabilitation Center, Eureka. On Saturday, Dec. 22 from 8 to 11 p.m. Charlie’s bandmates from The Primal Drone Society, aka: The Drones, will get together and play some tunes in memory of their friend at Finnish Country Sauna and Tubs, located at Fifth and J streets. Charlie’s friends and colleagues are invited to an evening Celebration and Tribute, to be held Jan. 19, 2013 at Plaza Grill in Jacoby’s Storehouse. Irish and Celtic folk musicians are encouraged to come with instruments for an informal Irish-Celtic style music sesiuin. More information will be announced. 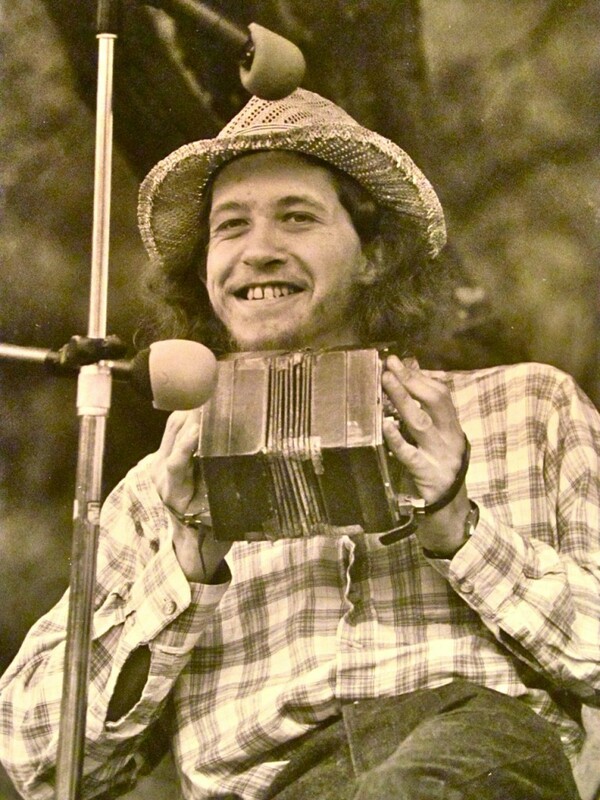 His family requests that in memory of Charles Huntting Rudd, donations be directed to The Humboldt Folklife Society, a 501(c)3 California non-profit organization, humboldtfolklife.org. or to your favorite charity. This entry was posted on Saturday, December 22nd, 2012 at 11:02 am	and is filed under Obituary. You can follow any responses to this entry through the RSS 2.0 feed.